The Israel Project (TIP), an American Hasbara outfit, commissioned Republican political consultant Frank Luntz to examine the effectiveness of Israel’s public diplomacy in the US on the Flotilla debacle. TIP gave the memo to the Prime Minister’s Office, where someone promptly leaked it to Chico Menashe, Channel Ten TV News diplomatic affairs correspondent. [Only] 20% of Americans “felt support” for Israel following announcement of easing of Gaza closure. The figures are troubling and worrisome. If that is the situation with our great friend the US, it is easy to imagine the situation in other, somewhat less sympathetic countries. Below is the full translated transcript of the report. An embedded link to the video is appended at bottom. Yaacov Eilon (host): Prime Minister Benjamin Netanyahu is considered to make an extremely persuasive presentation in the world press. But a professional analysis by a US expert presented yesterday to his senior aides strongly criticizes him. Netanyahu’s messages on the flotilla caused more harm than good. Our political correspondent Chico Menashe has obtained the report. Chico Menashe: Criticism of Prime Minister Netanyahu’s current PR messages and Israeli PR in general comes from the international elite of media consultants and pollsters and from the mouth of Frank Luntz, considered one of the leading American political consultants, a Republican pollster, a consultant to many governments throughout the world and to dozens of the biggest corporations in the US. He was asked by the Jewish organization The Israel Project to check the opinions of the American public on the messages Israel issued to the world during and after the flotilla events. The result is a harsh document that primarily criticizes the media strategy of the person considered Israel’s number one propagandist in the world, Prime Minister Netanyahu. Netanyahu: Once again Israel faces hypocrisy and a biased rush to judgment. Chico Menashe: Every time Israeli speakers begin with accusing the international community, writes Luntz, they lose their audience [emphasis mine]. For example, Netanyahu’s comments after the flotilla about the world hypocrisy were rejected by most of the American participants who listened to them. The findings were presented last night to senior members of Netanyahu’s Bureau. 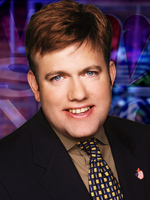 Luntz checked the opinions with focus groups, not a poll. He warns of a dangerous slide in the public opinion of the only country considered pro-Israeli, the U.S. Israel misses simple opportunities to change world public opinion, he writes, and the consequences are significant. The American public increasingly hesitates to accept arguments that support Israeli positions. Ehud Barak: There is no hunger in Gaza and no humanitarian crisis. Netanyahu: There’s no shortage of food, there’s no shortage of medicine, there’s no shortage of other goods. Chico Menashe: Luntz says Israel must immediately stop using the argument that there is no hunger and no humanitarian crisis in Gaza. He says this fatally destroys Israel’s credibility in light of the images on the television screens. Israel must admit that there is a problem, he says, to gain the listeners’ sympathy [emphasis mine]. Luntz finds the troubling figure that 56% of participants agree with the claim that there is a humanitarian crisis in Gaza, and no less astonishing is that 43% of participants from the American public agree with the claim that people in Gaza are starving. But even lifting the closure that was supposed to improve Israel’s image missed the opportunity, according to Luntz. Netanyahu: Yesterday an important decision was made by the security cabinet. Its meaning is clear. On the one hand, allowing civilian goods into Gaza, and on the other hand maintaining the military blockade of Hamas. Chico Menashe: The statement by Netanyahu’s bureau of lifting the closure missed the opportunity to gain support in international public opinion [emphasis mine]. Only 20% of the Americans polled felt support of Israel following the statement. According to Luntz, this is the summary of the flotilla damage in American public opinion: Only 34% of the American public support the Israeli operation against the flotilla, and he says that is a dangerously low percentage. Here’s a simpler, three-step, guide: Accept the existence of a connection between your government’s policies and the trouble you’re having; recognize that alternatives exist (hey, your PM just said that the blockade was a mistake); use your clout to force the government to adopt them. Until they sober-up, however, Israeli businessmen will continue throwing money at consultants peddling the satirist’s treasure trove below. “In ordinary times, it is recommended that businessmen who work abroad cooperate with local partners who are familiar with the business and legal environment there. Regardless of whether you intend to move a marketing center or establish a branch abroad, working with a local partner is convenient because he provides a kind of foothold and base of activity. This is particularly advisable in countries where the legal system is not transparent (such as in East Europe), or where you are not certain that the legal system is not given to external and political pressures. “Yet, in view of the flotilla affair and the anti-Israeli sentiment that followed it, I would recommend considering solo activity over joining a local partner in the country of destination. In fact, Israeli businessmen can no longer trust local partners because they might be affected by the local politics and public opinion. “Many Israeli firms that presently establish business ties with European, Asian, and US partners are praying that the Marmara affair would not surface during their negotiations. They fear it might feature in the subtext and work against them while that the other side leverages the political situation in its favor. They fear that the other side might take advantage of our weak standing as Israelis and of our desire to make deals, and seek negotiation benefits or, what is worse, renegotiate contracts. “I would actually suggest that the Israelis take a preventive move; namely, neither wait for the other side to bring up the issue, nor play it down with a typical Israeli remark such as, ‘Forget politics; let’s talk business.’ My experience shows that this is a wrong strategy to employ in negotiations when you are at a disadvantage. The right way to go about this would be to start by saying something like, ‘I assume that our mutual interests are stronger than political interests,’ as soon as the talks begin. Crystal: “Doing a double-negative on the situation, Israel’s current negative stance can help clever businessmen expedite deals. For example, they can tell their foreign counterparts: ‘Let’s establish the terms of the deal now because reality in the Middle East is very volatile.’ The post-flotilla atmosphere can actually help you establish a tough tactical deadline for closing a deal because you will be making the other side believe that the current political noise is actually an opportunity for him to secure the deal with an x benefit (‘Better take advantage of my situation now because things might get worse,’ or ‘Buy now under the terms I am offering you because demand may soar tomorrow, and so will the price’). Crystal: “In view of the flotilla affair and the general onslaught against us, we should try doing business with countries whose economies are in distress, and employ a ‘mutual-aid psychology’ with them. The relevant countries are such as Greece, Spain, and Italy, which currently experience economic distress and could sympathize with us as underdogs. 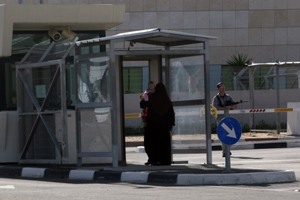 The lifting of the blockade on the Gaza Strip and permission for Palestinians to leave the Gaza Strip freely through Israeli border crossings. These are the unequivocal demands that President Barack Obama is expected to make during his meeting with Prime Minister Binyamin Netanyahu in the White House in two weeks. If anyone thought that lifting the economic blockade of the Gaza Strip would satisfy the Americans, it is now clear to them that is only the beginning. Reliable sources who have been apprised of the preparations that the White House is making for the meeting between Obama and Netanyahu revealed that the demands are much more significant. While Obama voiced his satisfaction with the relief measures that Israel announced, he believes that the situation in which more than a million and a half inhabitants of the Gaza Strip are living is intolerable. The American president is particularly angry that the inhabitants are not free to leave the Gaza Strip. He sees that as a kind of “collective punishment.” Political sources say that Netanyahu, who has chosen not to change the situation with the Gaza Strip, now finds himself under a great deal of international pressure and must act under pressure from the United States. Obama also intends to examine the issue of extending the construction freeze with Netanyahu. It may be assumed that Netanyahu will make a continuation of the construction freeze conditional upon going over to direct talks with Abu Mazen. But considering the firm demands to be made in the private meetings, White House officials are planning quite a warm reception for Netanyahu. Obama’s advisers are preparing quite a few “photo ops” in which the president and Netanyahu will be seen together in public. According to the plan, they will go out into the Rose Garden, which overlooks Obama’s office, where they will answer questions from the media. Reliable sources say that one of the reasons for the special effort is requests from Jewish Democrats running in the interim Congressional elections this coming November, who are urging the White House to provide them with “friendly pictures” of Obama and Netanyahu. White House officials are even looking into the possibility that Obama will invite the Israeli prime minister to come with him to Camp David for talks that will go far into the night. The president’s advisers are examining the idea, the purpose of which, in essence, is to see first-hand which compromises Netanyahu is willing to strive for in a final status arrangement with the Palestinians and with Syria. Sources in Washington explained that Obama expects to hear from Netanyahu “not only slogans about his willingness to enter negotiations with Abu Mazen and with Assad,” but to show clearly what he means when he talks about two states — Israel and Palestine — existing side by side. Another subject about which the American president expects an answer is Israel’s willingness to withdraw from the Golan Heights as part of a peace treaty with Syria. Perhaps the most sensitive issue that is going to be discussed in the talks between the two leaders is Obama’s view that the world must give up nuclear weapons. Since Netanyahu is very well aware that the opinions of American decision-makers on this matter have changed, he will try to receive guarantees that for now, there will be no change in American policy regarding Israel’s nuclear capability. It turns out that Quartet envoy to the Middle East Tony Blair was the person who in fact presented to the international media the change in the policy of the Israeli government on the Gaza blockade. This was decided in coordination with Prime Minister Binyamin Netanyahu. And what was the prime minister’s contribution to helping Israeli PR efforts? He made do with a short statement to the press that he gave at the Likud faction meeting, and another laconic statement in English that was given to the foreign media. Indeed, since two evenings ago, Blair has been going from one television studio to the next; he gave six interviews in two days, he handled tough questions from interviewers and he is trying to employ his great experience to enlist support in international public opinion for the relaxing of the blockade and for Israel’s new policy. Netanyahu’s aides explained that the most important arena was that of the media and international public opinion. It was therefore decided that it would be better to have Blair present the important change in the government’s policy since he is considered objective and of international stature and since the decision about relaxing the blockade was made in coordination with him. Blair met in Israel yesterday with a series of public figures and politicians, among them Regional Development Minister Silvan Shalom, Deputy Prime Minister and Intelligence Affairs Minister Dan Meridor and Opposition Chairwoman Tzippi Livni. Earlier he met in Ramallah with PA Chairman Abu Mazen and Prime Minister Salam Fayyad. [Commission member Shabtai] Rosen’s long list of credentials did not help endear him to the Americans, who were embarrassed by the photograph of him reading material while wearing pajamas with his Filipino by his side. The photograph also got him trouble with the immigration authorities who decided to raid his home to check the legality of the two foreign workers who assist him. They turned out to be legally employed. It should be pointed out that the photographs, which were shown in both Ma’ariv and Yedioth Ahronoth last week, were with Rosen’s full permission. The professor invited the photographers to his home and chose to be photographed there. The Turkel Commission was appointed after lengthy negotiations with the Americans, and elicited public criticism after it was made public because of the ages of its members: Shabtai Rosen, 93, Amos Horev, 86 and Yaakov Turkel, 75. “Age is a matter of genes, it shouldn’t get in the way,” said Amos Horev in response to the criticism. Horev, who served in the IDF as Chief Armaments Officer and as the Head of the Logistics Division in the General Staff, was appointed after his retirement as President of the Technion, and the the Director of the Mossad still listens to his advice attentively, even with veneration. Rosen’s long list of credentials did not help endear him to the Americans, who were embarrassed by the photograph of him reading material while wearing pajamas with his Filipino by his side. The photograph also got him trouble with the immigration authorities who decided to raid his home to check the legality of the two foreign workers who assist him. They turned out to be legally employed. UPDATE The source of the fable is the Talmud (Mechilata Derabi Ishmael) where it describes how the Egyptians managed to enact a their worst case scenario: Suffered the Ten Plagues, Let Israel go and lost all their wealth. Thanks, Shlomit Yarkoni. A Hasidic fable tells of a Jew given the choice of three punishments by a Polish noble: Forty lashes, eating a putrid fish or expulsion from the city. After enduring thirty-five lashes he asks for the fish. He manages only three-quarters of the fish and is expelled from the city. And as if all this were not enough — the Quartet announced yesterday that the relief measures were not enough. The expression about eating the stinking fish and also being kicked out of the city would be true, if we were talking about fish. The problem is that we’re talking about sharks, and sadly — they were the ones who ate us. Netanyahu tried yesterday to blame the siege on the Olmert government. He was not the only one: suddenly everyone is distancing themselves from what, until now, was considered to be the required policy. Netanyahu dumped it on Olmert, Olmert on Barak, Barak back to Olmert and even claims that he has long since thought that it should be lifted. Is this not disgraceful? The government has been in power for a year and a half, and is still tied to the policy of is predecessor. The defense minister, who was also defense minister when it was decided on the siege, now talks like a commentator, and not as the man who decided on it. What is going on here? Is there no one in this country who will take responsibility? I agree with Kadmon that Israel has maneuvered itself in the worst of all possible worlds; I disagree with her assertion that the blockade served a logical purpose. One can understand, however, why many journalists would adopt such a position. After all, for over three years, they’ve toed the government line: The blockade is weakening Hamas. It’s easier to call the Prime Minister a liar now than to admit that you’ve served for so long as an uncritical stenographer. Some journalists are not falling into this cognitive dissonance. On Channel Ten TV News yesterday evening, for example, both Yaron London and Raviv Drucker were livid with anger. Both reactions have a constructive alternative: Journalists can simply stop regurgitating government talking points and begin asking questions. They can start with this one: Since the logic that applies to civilian imports also applies to exports, why are they still prohibited? Why not allow them as well so Gaza has a chance at economic recovery and does become a permanent welfare case funded by other people’s taxes? Even in Gaza they began yesterday to eat coriander and halva, pasta and jam, while we are the only ones continuing to eat dirt. That’s how it is when there is a right-wing government with two left hands, a bumbling leadership that leads us from bad to worse, whose every action, which is meant to fix the previous crisis, only bring us to a new low in terms of our public image and deterrence. Why deny it? We’ve become a joke. There is no country in the world today that doesn’t know that Israel only understands force, and that its prime minister — the man who invented “they’ll give, they’ll get” and developed an entire credo on the war on terror — is the first who capitulated to terror and his government’s decisions strengthen Hamas’s control. Yesterday the prime minister tried to explain why it was decided to lift the siege on Gaza. He had two ways of doing this. One, to say forthrightly and courageously that he was acceding to the decision of the European Union to lift the siege and he therefore is asking the Europeans to announce that there is no longer any need for protest flotillas and no legitimacy to the ships trying to reach Gaza. That way, at least, we would have gotten something out of this whole story. Instead, Netanyahu chose to explain to the Israeli public why lifting the siege was the most correct thing to do, and that this “pulled the rug out from under the propaganda claim that there is a humanitarian crisis in Gaza.” After all, any idiot then immediately asks: if this is such a correct thing to do, why didn’t we do it a year ago? Why did this siege go on for three years, with a need for failed campaign such as stopping the flotilla and massive international pressure in order to drag Israel into making a decision that it actually doesn’t want. Cross-posted from Gaza Gateway, an analytical blog recently launched by the Israeli human rights group Gisha — The legal Center for Freedom of Movement. Gaza Gateway provides up to date data and analysis on access to the Gaza Strip and is an essential tool for for fact-checking and contextualizing information provided by other sources. The eleven-day protest of Ahmed Sabeh, released from an Israeli prison on Wednesday, April 21, 2010, and taken to the Gaza Strip – even though his home, wife and son are in Tulkarem – raises an interesting challenge to Israel’s control over the borders and population registry of the occupied Palestinian territory. Mr. Sabeh has camped out inside the Erez Crossing, refusing to enter Gaza, in protest of Israel’s refusal to allow him to return to his home in the West Bank. The Hamas government, in turn, has announced that it will not allow him back into Gaza, in order to avoid facilitating the Israeli policy of removing Palestinians from the West Bank. Mr. Sabeh, represented by HaMoked – Center for the Defence of the Individual, was taken to Gaza as part of a policy to remove from the West Bank Palestinians whose addresses in the Israeli controlled population registry are listed in Gaza, a policy strengthened by a new military order that gives the military broad powers to deport and arrest. His refusal to enter Gaza – and the Hamas government’s refusal to receive him – provide a window into Israel’s double-bind policy on control of Gaza. On the one hand, Israel claims that it has ended its occupation of Gaza and that Gaza is a “foreign” and even “hostile” entity for whose 1.5 million residents – Israel bears no responsibility. On the other hand, Israel has determined, that Mr. Sabeh is a “resident” of the supposedly “foreign” entity of Gaza (through Israel’s control of the Palestinian Population Registry) and that Israel may force him to live there (through Israel’s control of Gaza’s borders). Compare Mr. Sabeh’s plight with that of Palestinians who entered the West Bank from Jordan, but Israel refuses to “recognize” their residence and issue them Palestinian ID cards. Israel does not try to deport them to Jordan, because Israel cannot dictate who is a citizen of Jordan and cannot force Jordan, a sovereign state, to accept a deportee. Not so for Gaza, part of the occupied Palestinian territory, where Israel decides who is a Palestinian resident and uses its control to dictate where he or she may live (in the case of Mr. Sabeh – thus far with only limited success). Gaza Gateway will soon be adding to its weekly updates statistics about the movement of persons through Gaza’s crossings – and we’ll be sure to include data about those stuck in the middle.